Circulating the LA rap scene for the past few years rapper Sean Auguste has been in moving circles with your favorite rapper's rapper for years. But his ambition and drive is what should really be of note, as Sean’s character shines radiantly through his music. While Sean Auguste has been acknowledged by a host of accomplished rappers, Sean's musical background has its roots in gospel after Sean played a crucial role in his church on the drums and directing the choir. "Everything in my music has a spiritual undertone, my faith doesn't really move and is always the foundation. Even though I have my questions, I am always looking for a why and that's where my music comes from. Around the end of 9th and 10th grade i switched up from playing the drums and singing to start rapping more to express myself," Sean Auguste explained. 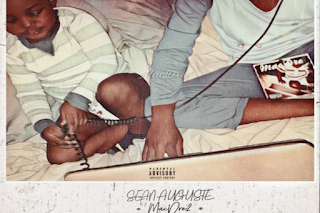 Combining drums, keyboards, rapping and singing Sean Auguste has the ability to reach wide audiences and does so on his 'Mac Dre II' Mixtape, which includes coves of Cardi B's "Be Careful," Drake's 'God's Plan" and a host of other cuts. "This project is the second installment in my journal entries. The two tools that I have are my MacBook and my Beats by Dre headphones - hence the Mac Dre title." Sean Auguste said. "So shout out to Mac Dre from the Bay, he's a legend and it's an honor for the project to work out like this." With a May birthday looming Sean is planning on making a few stops around the city to ensure his sound doesn't fall on deaf ears and this Mac Dre II project is the first step at doing that.